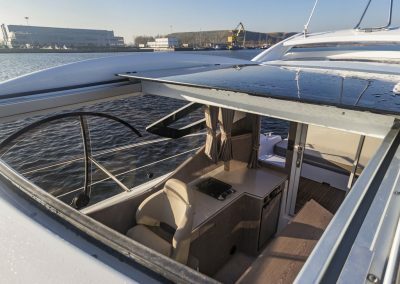 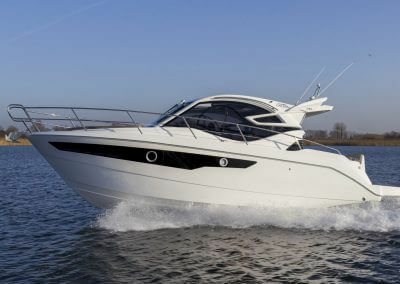 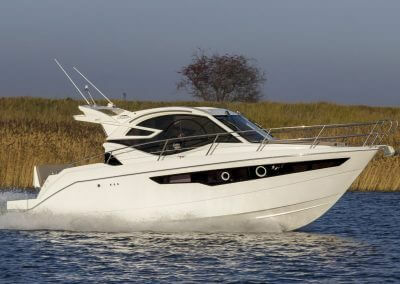 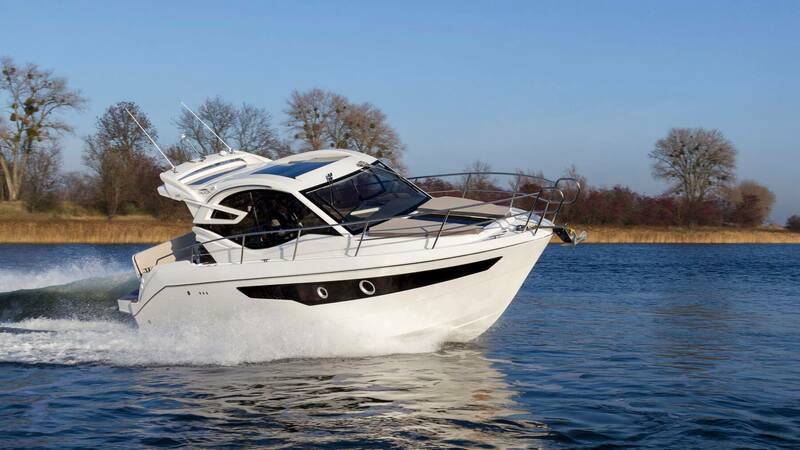 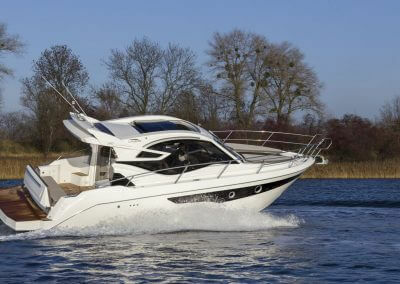 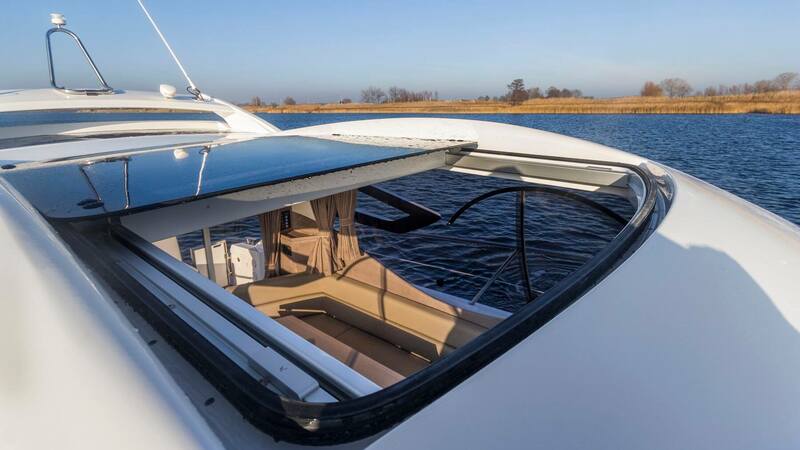 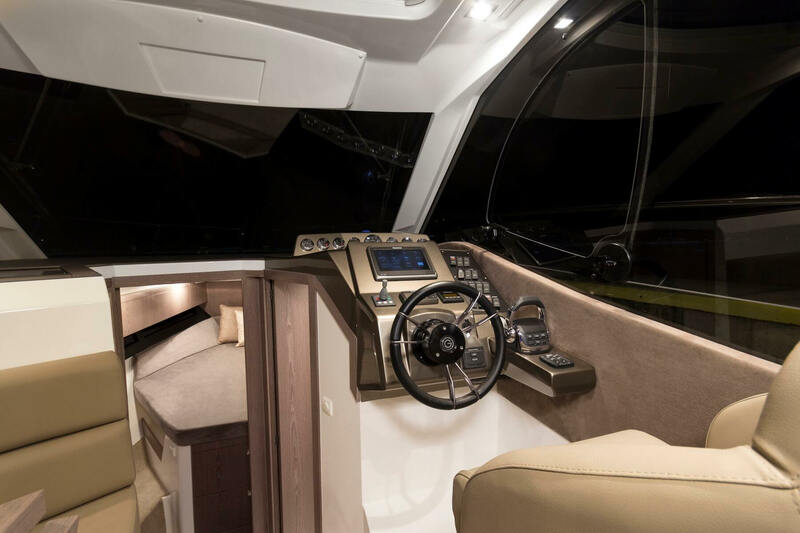 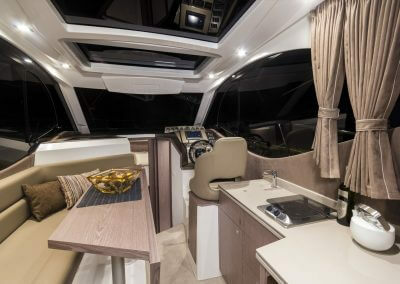 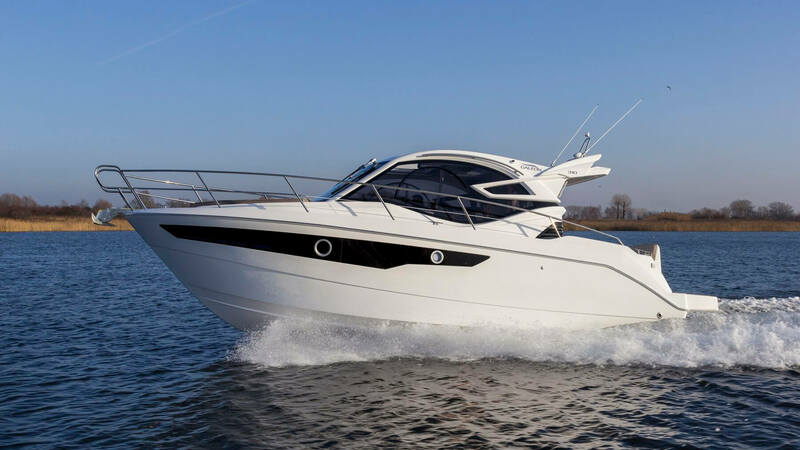 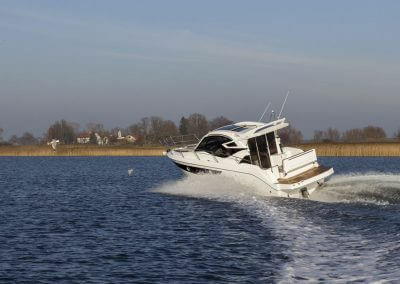 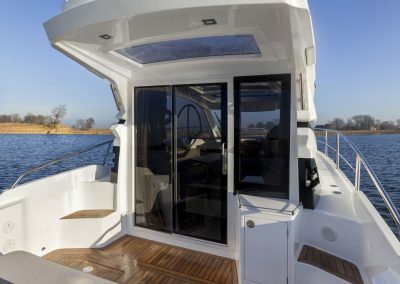 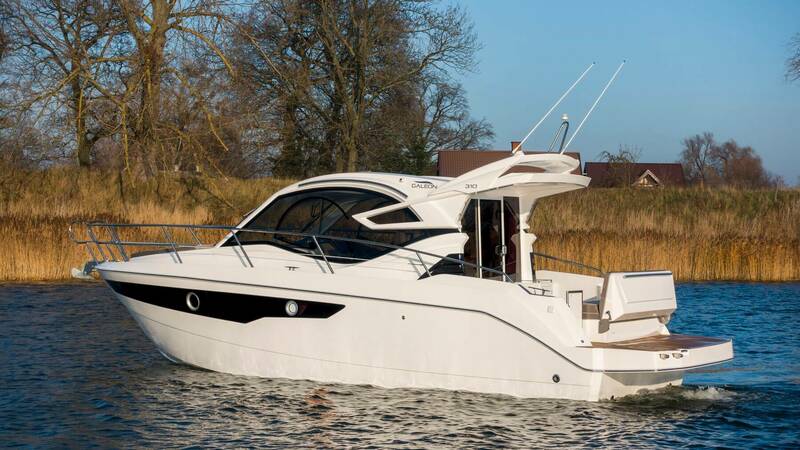 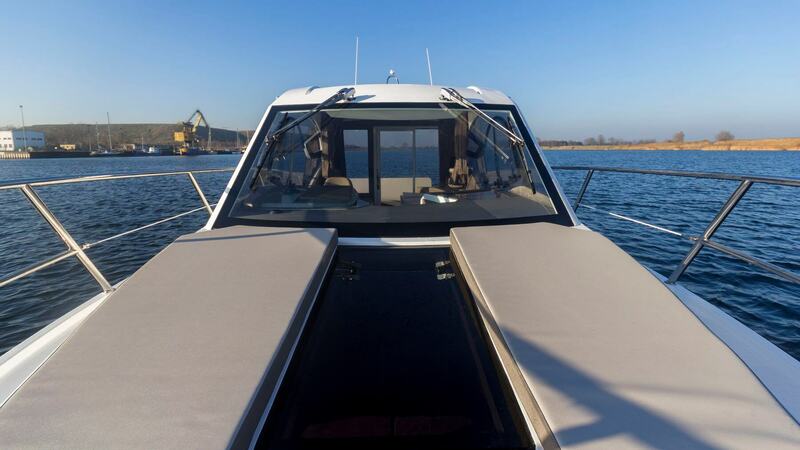 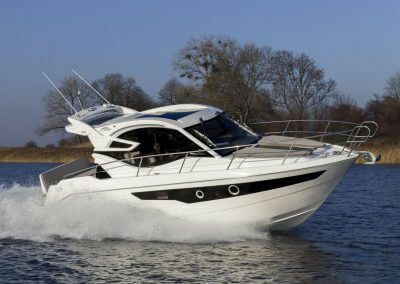 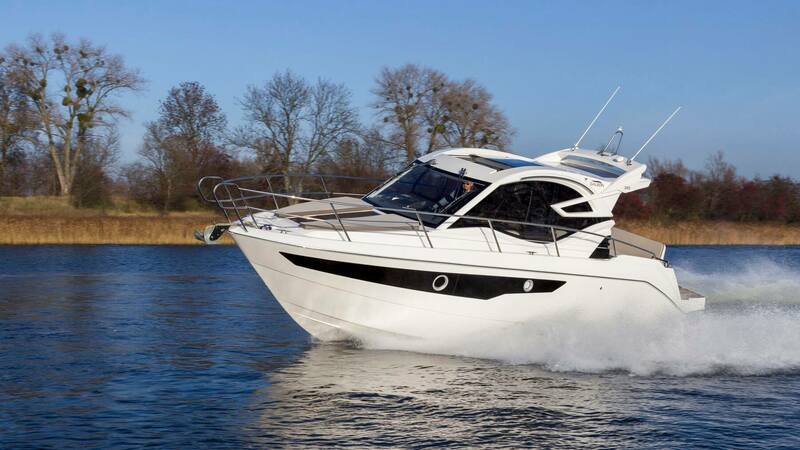 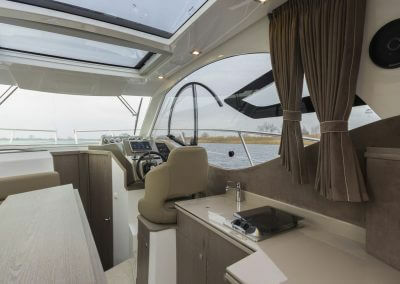 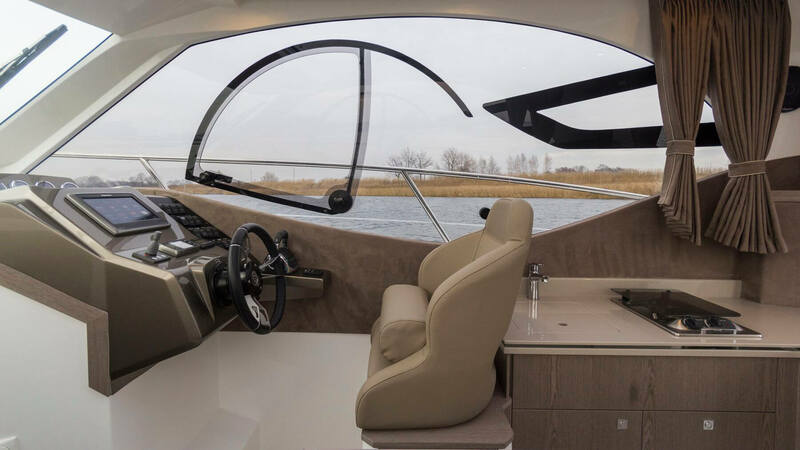 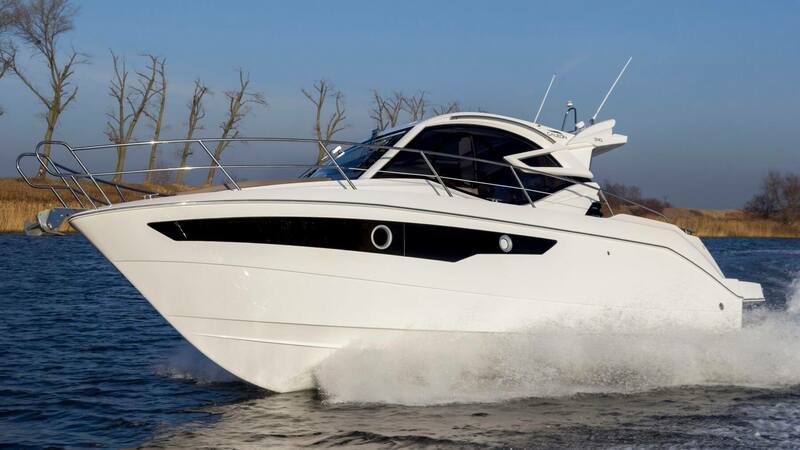 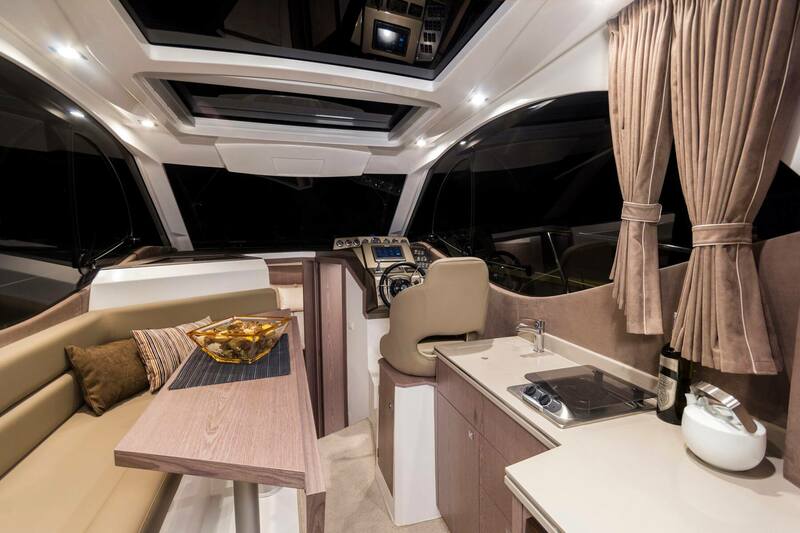 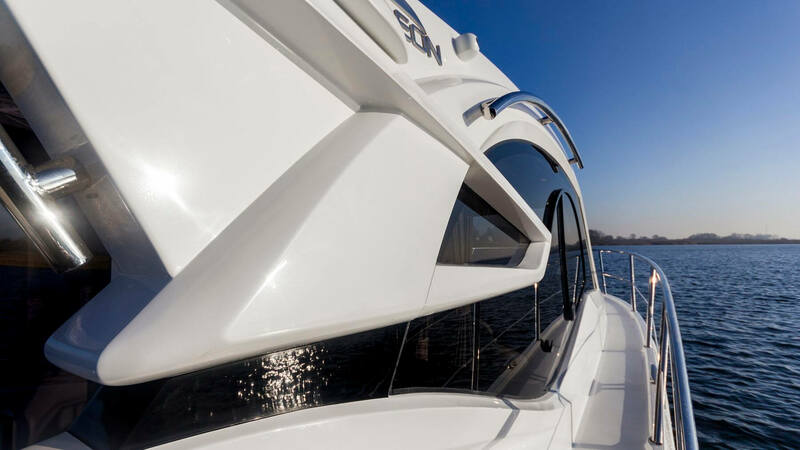 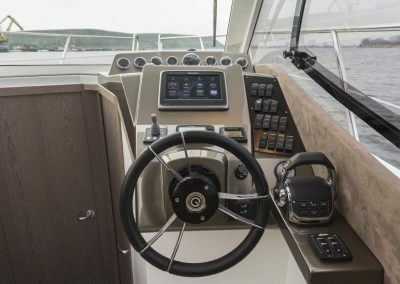 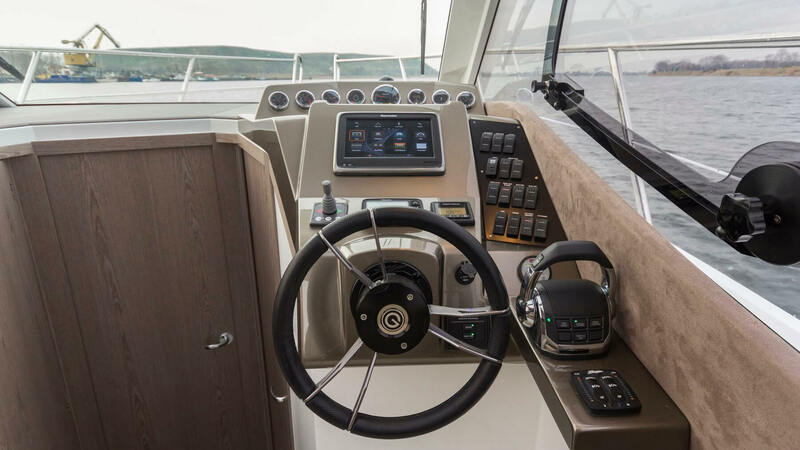 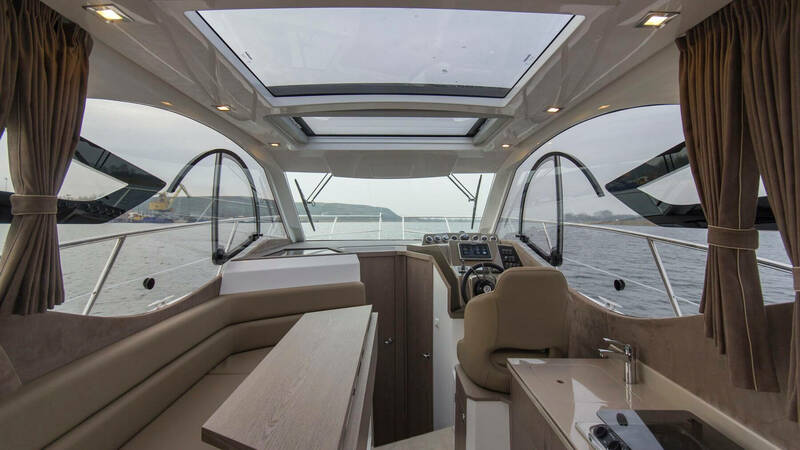 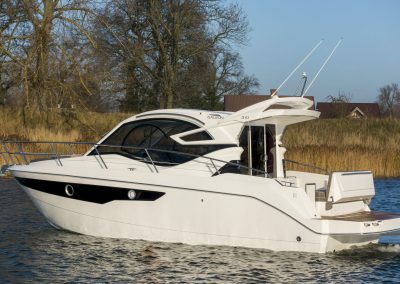 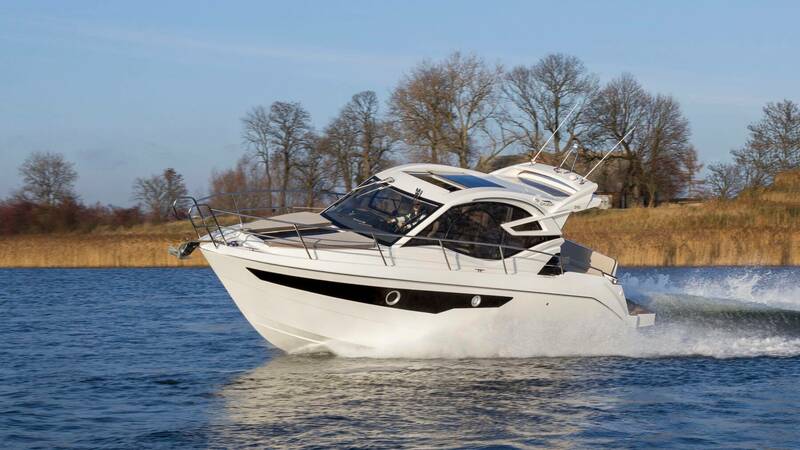 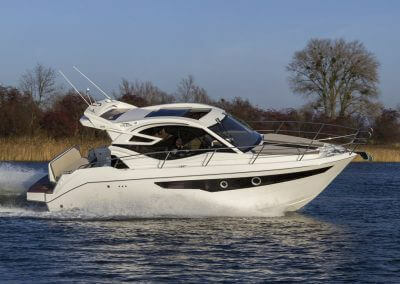 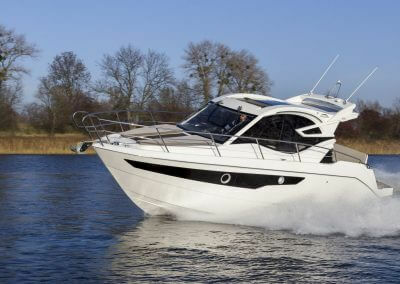 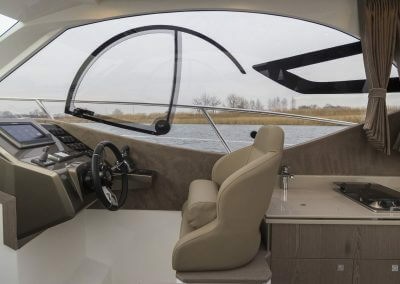 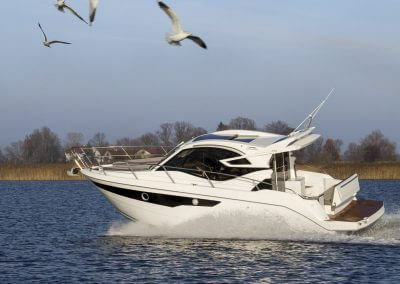 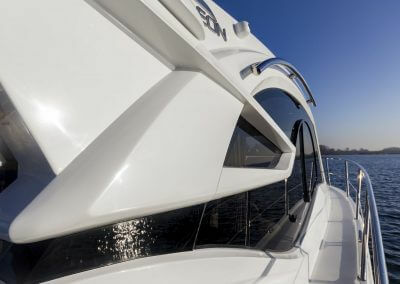 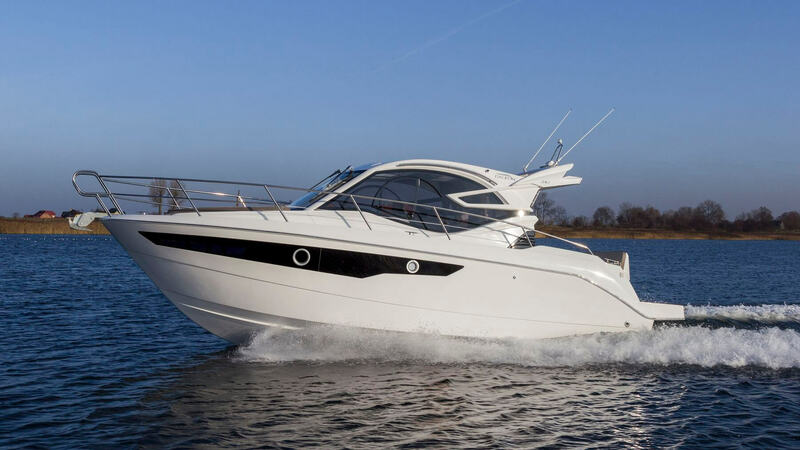 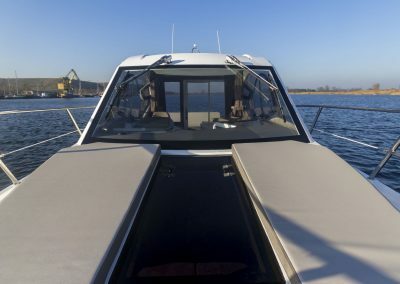 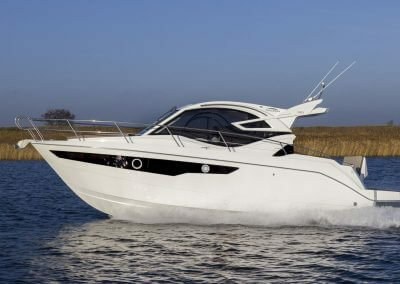 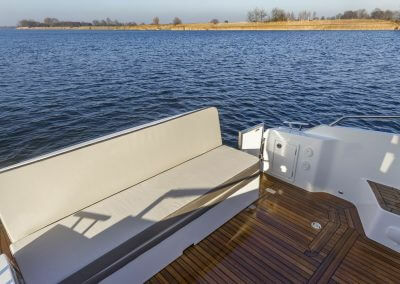 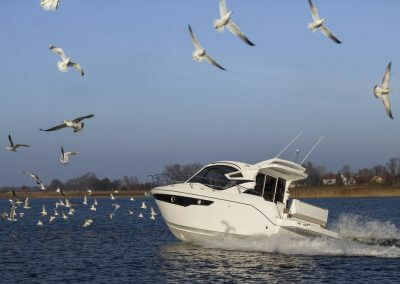 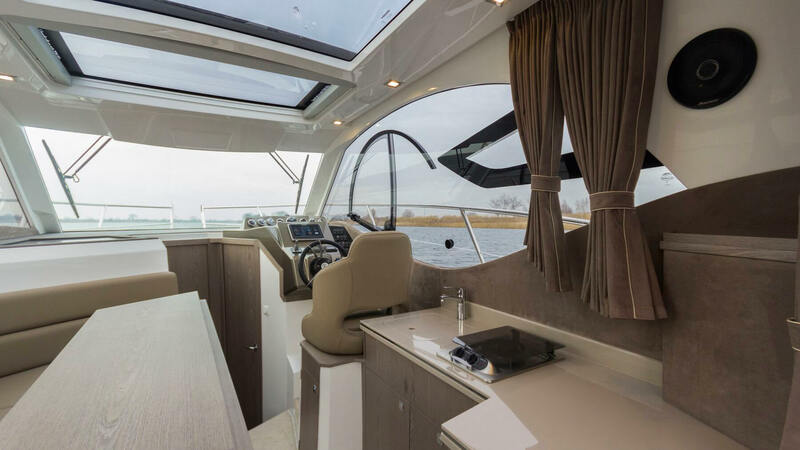 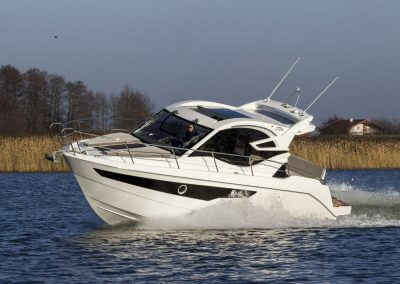 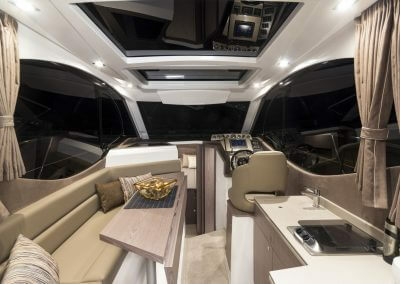 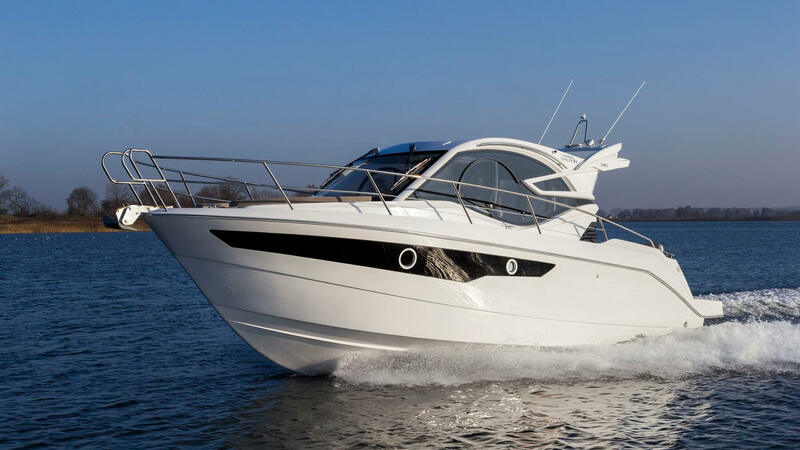 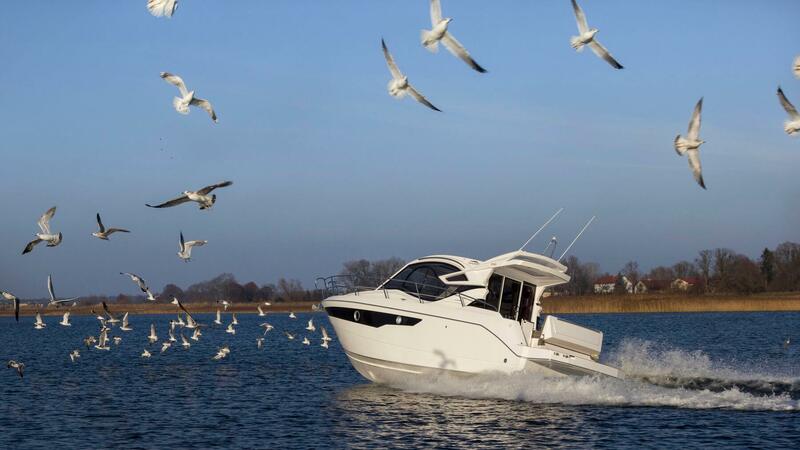 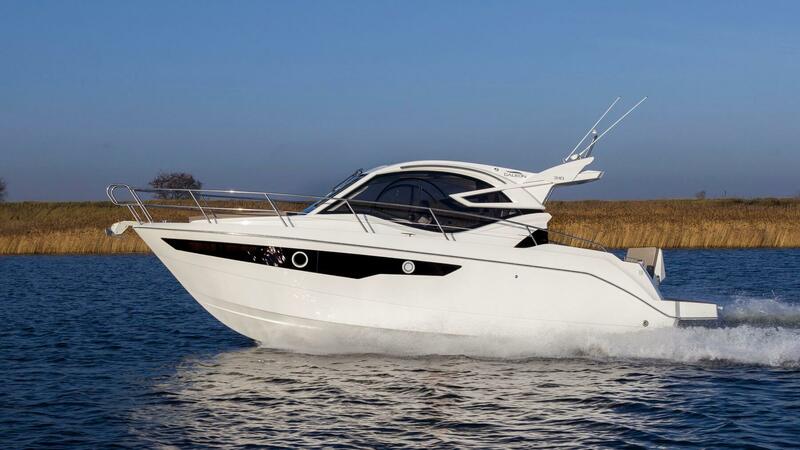 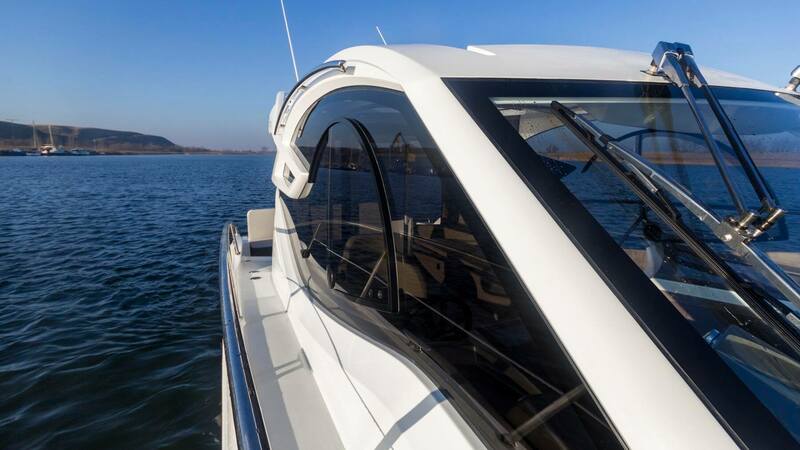 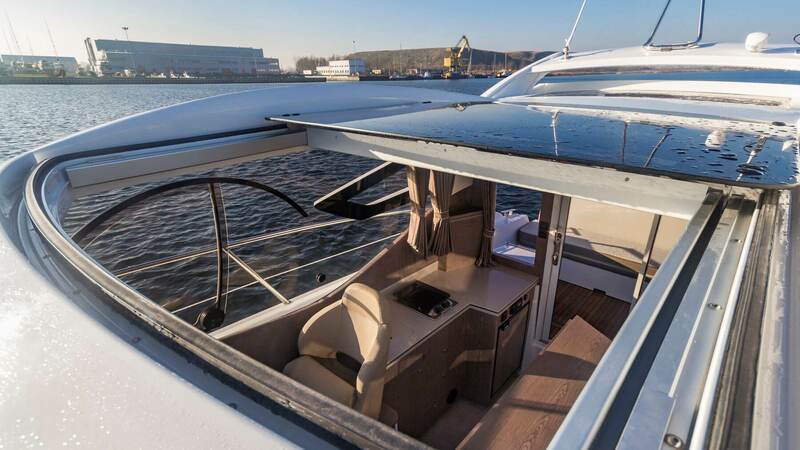 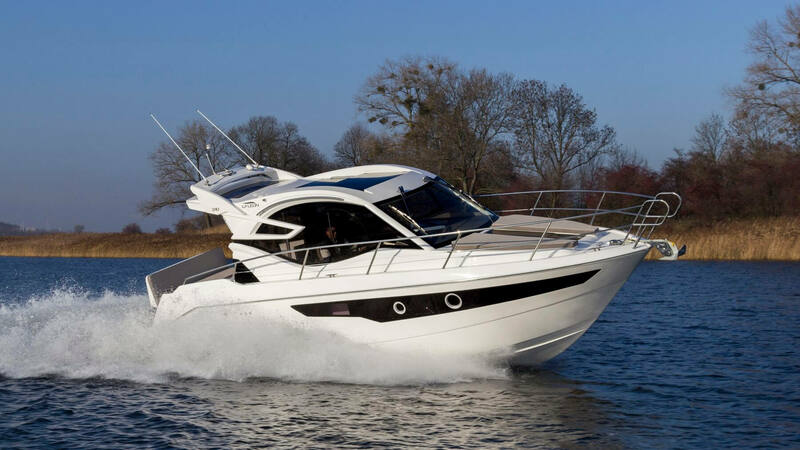 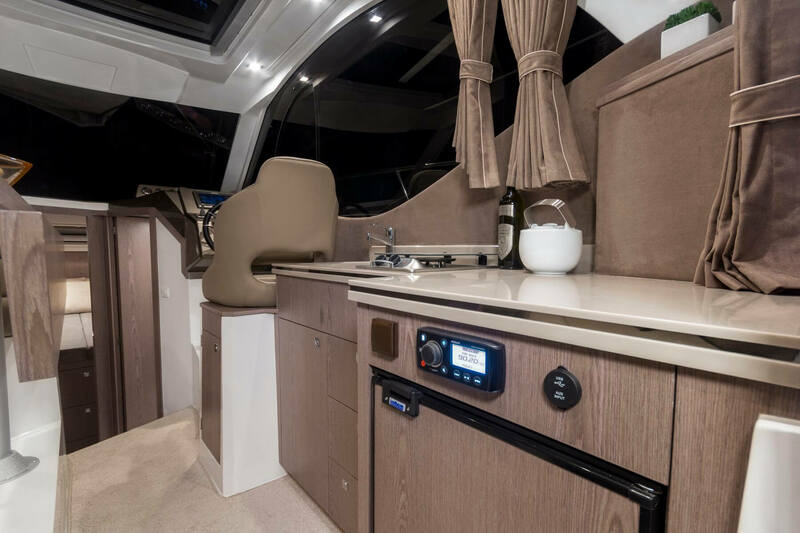 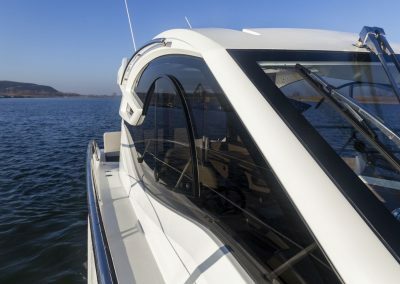 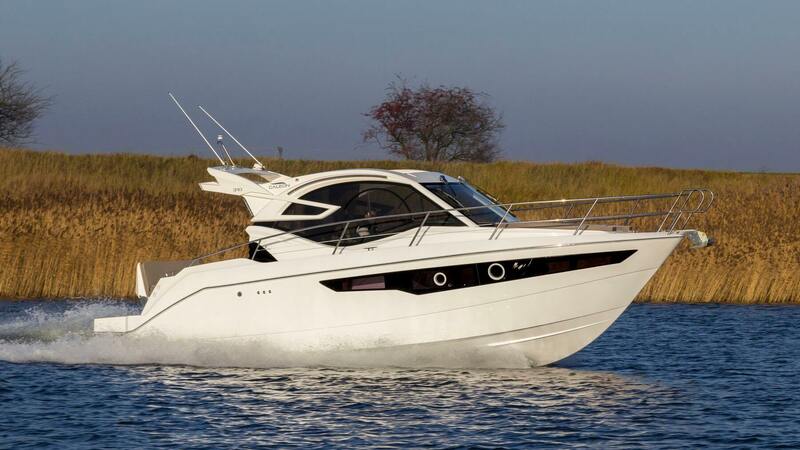 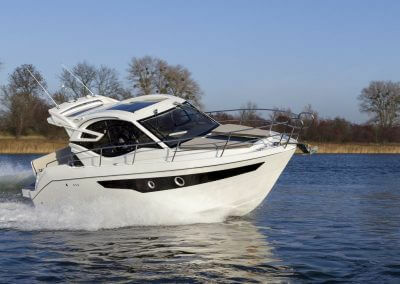 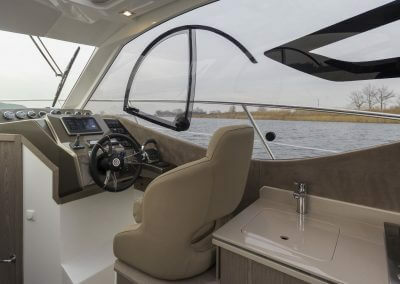 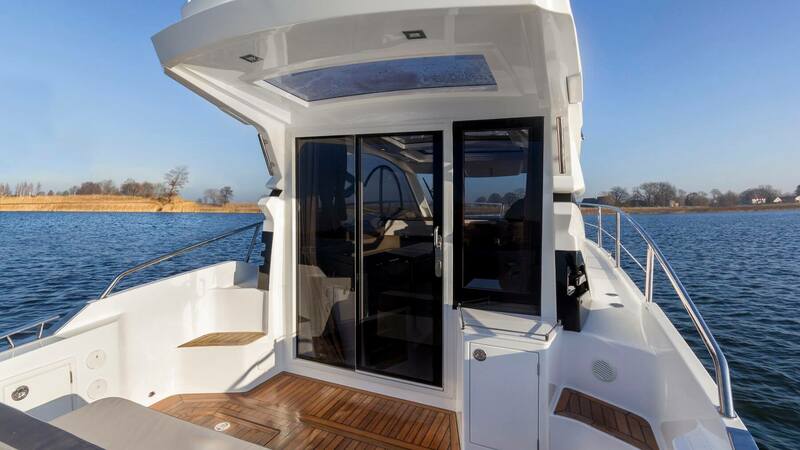 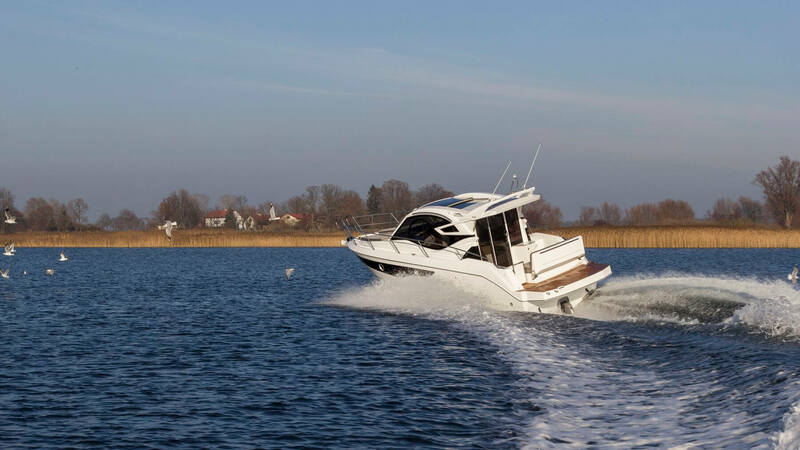 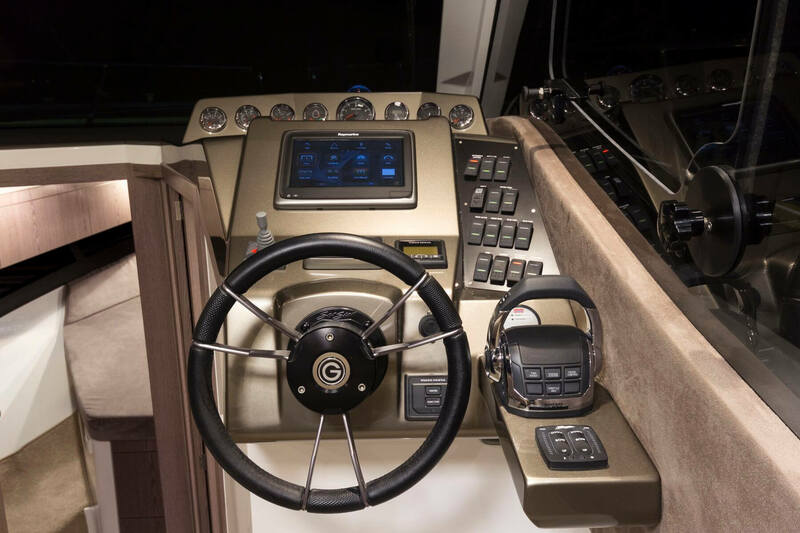 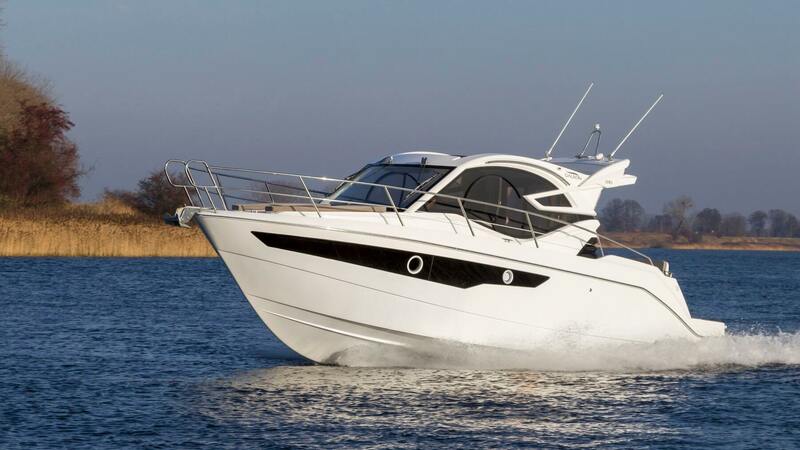 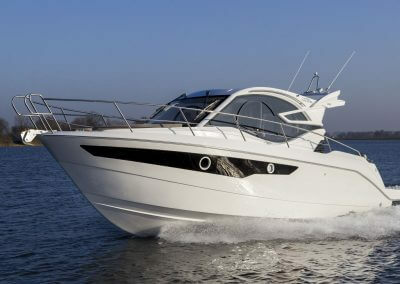 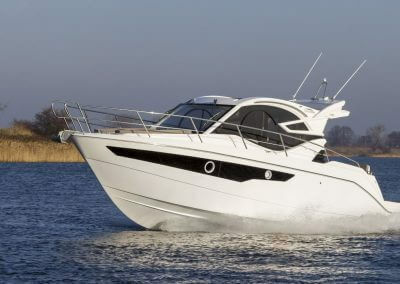 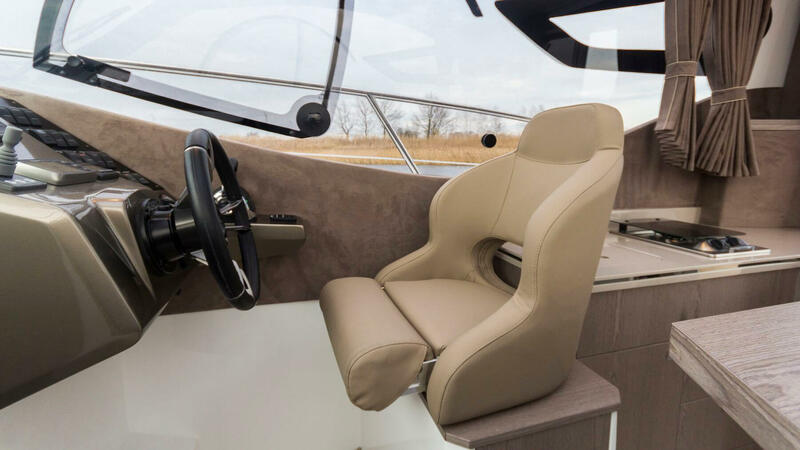 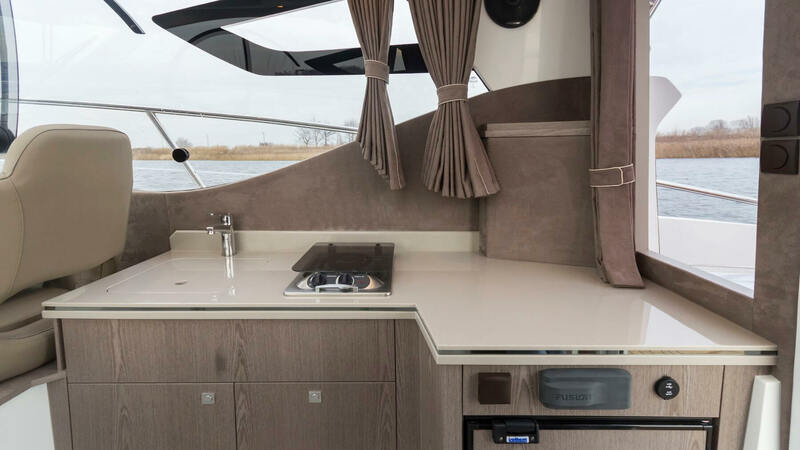 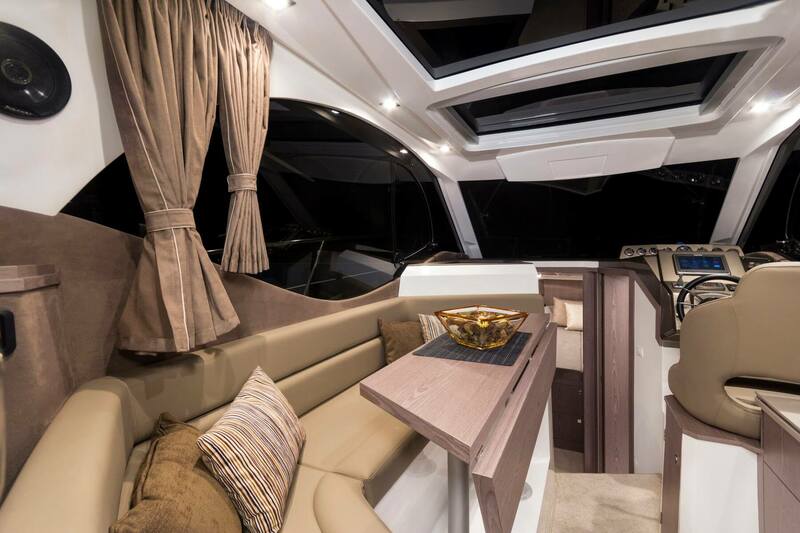 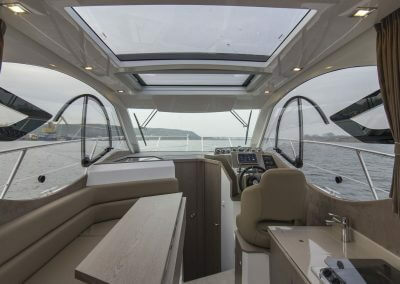 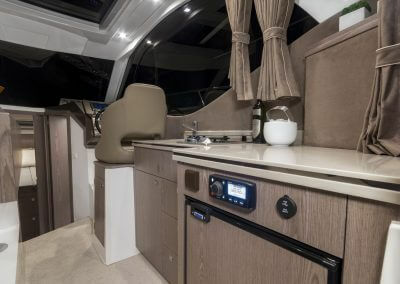 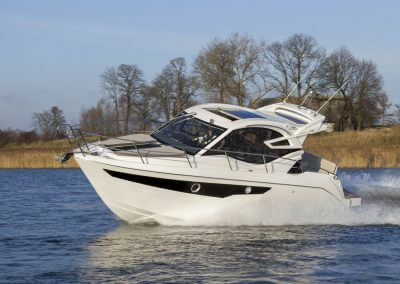 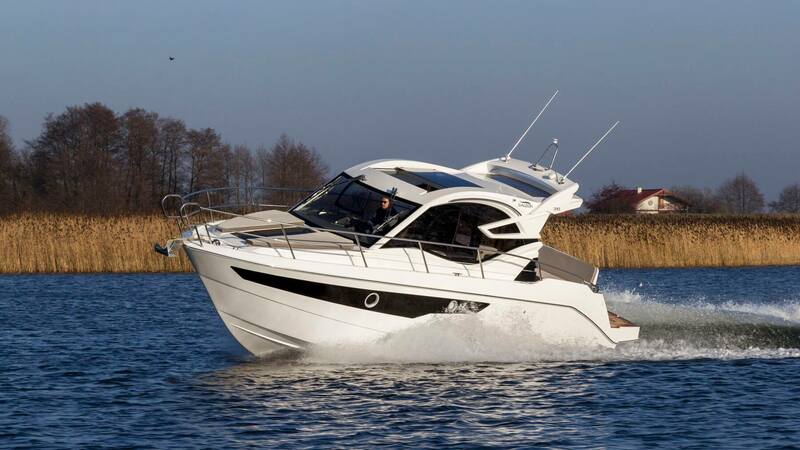 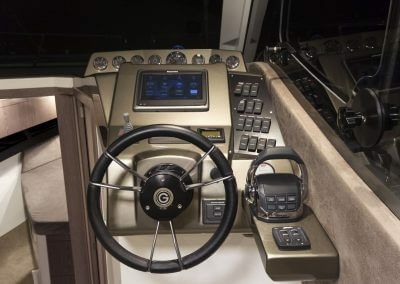 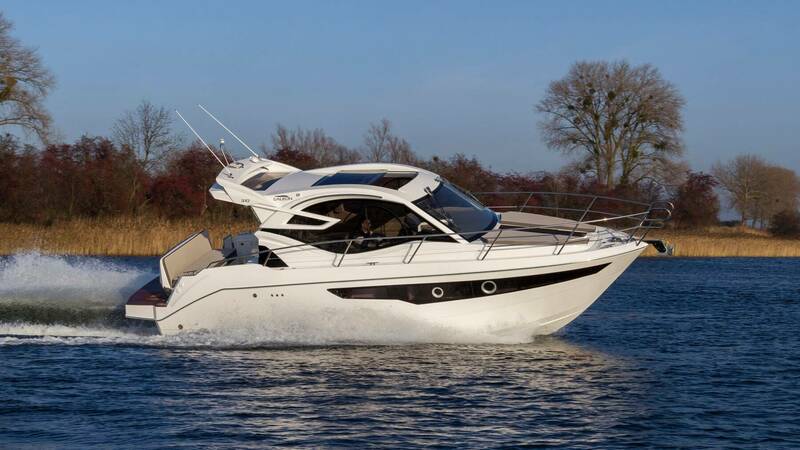 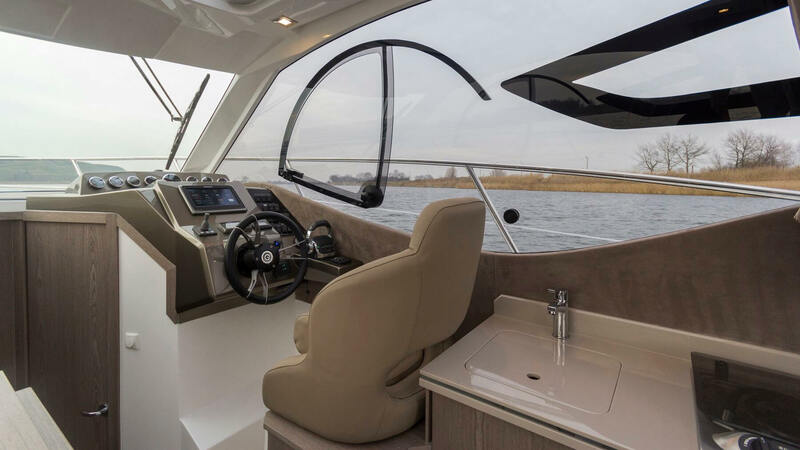 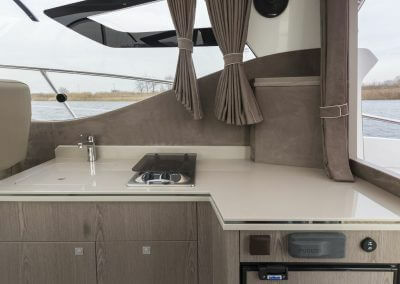 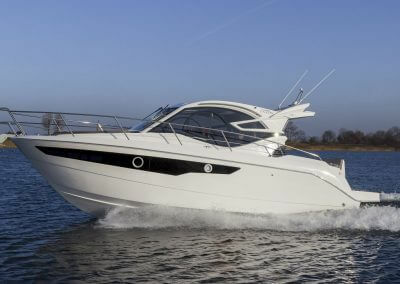 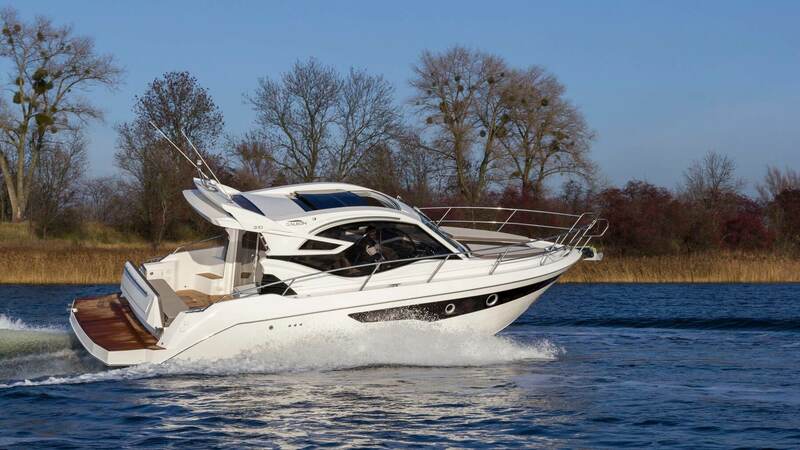 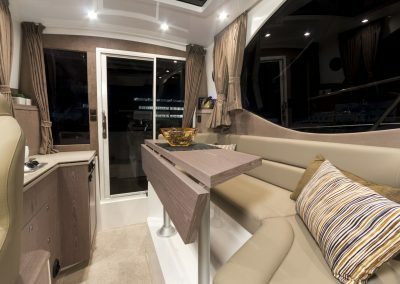 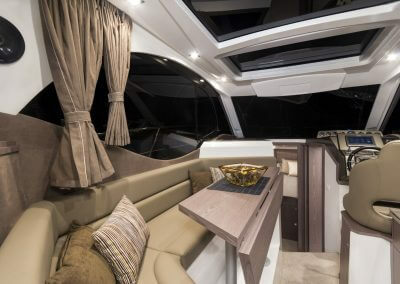 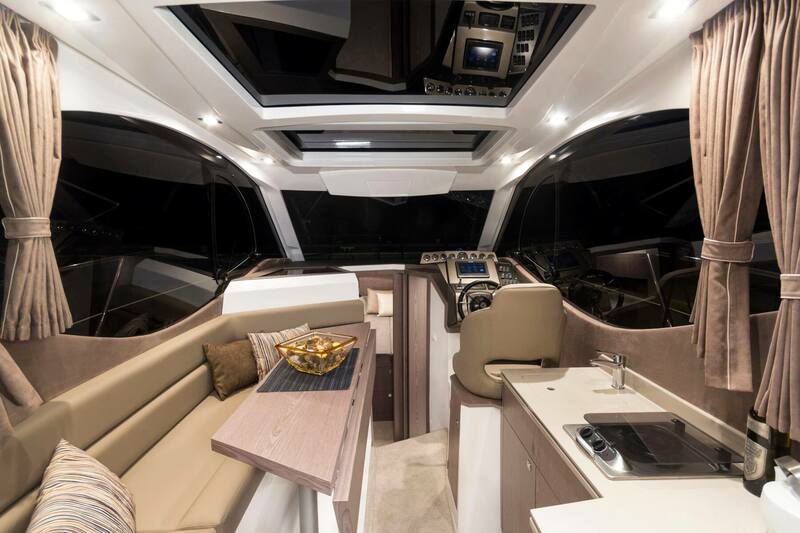 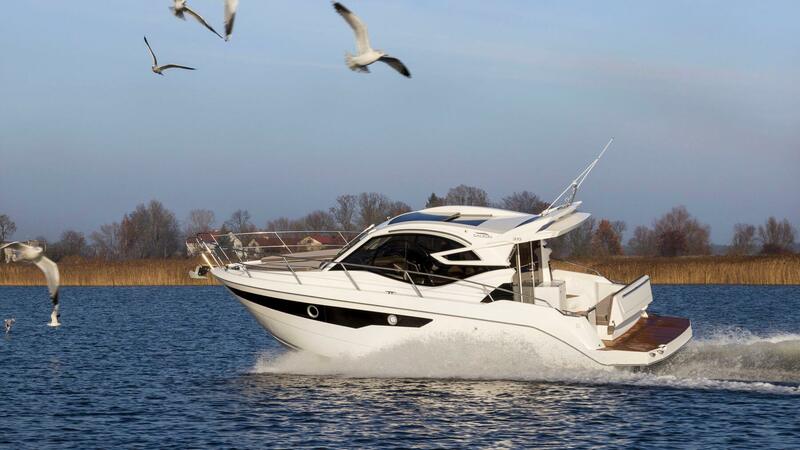 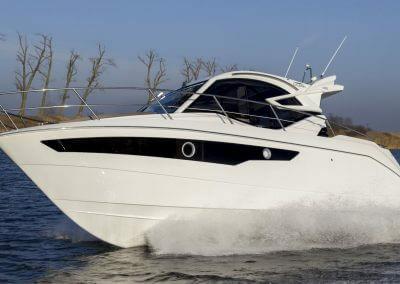 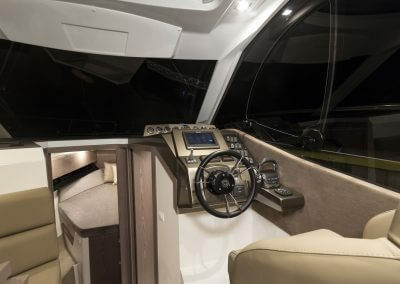 The exterior clearly resembles that of other third generation Galeon yachts with its broad windows and dynamic features. 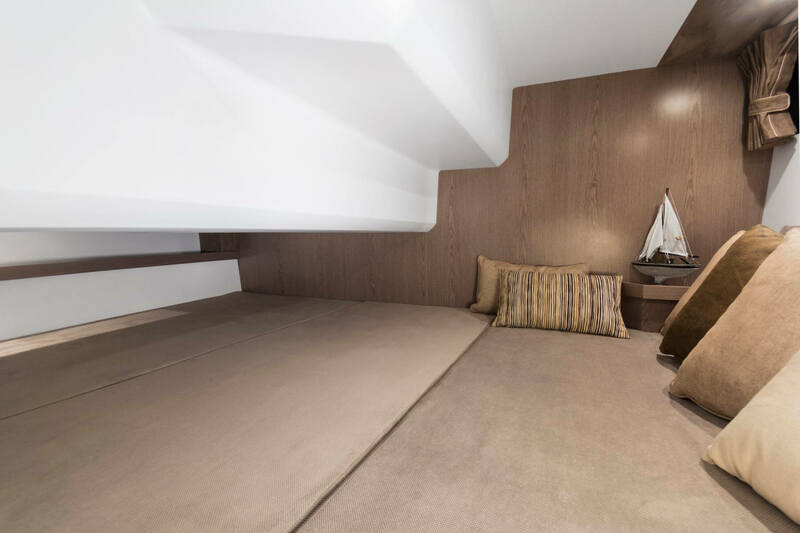 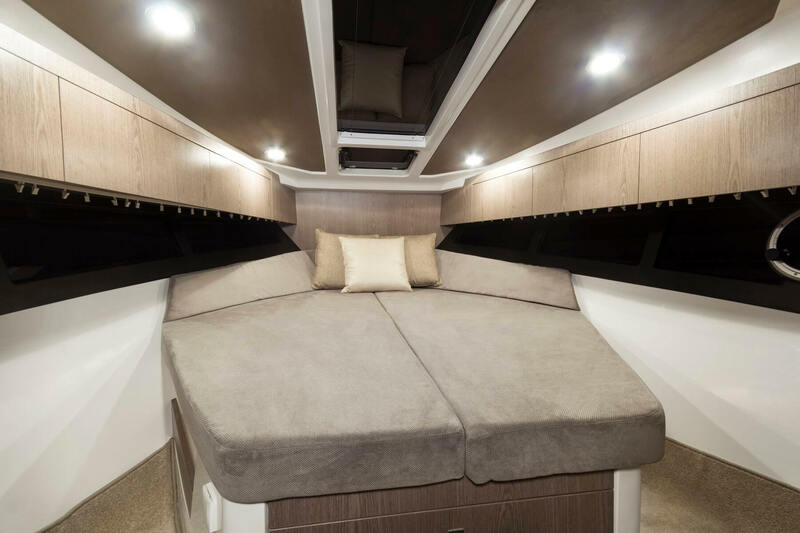 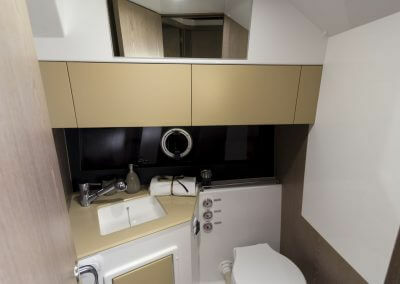 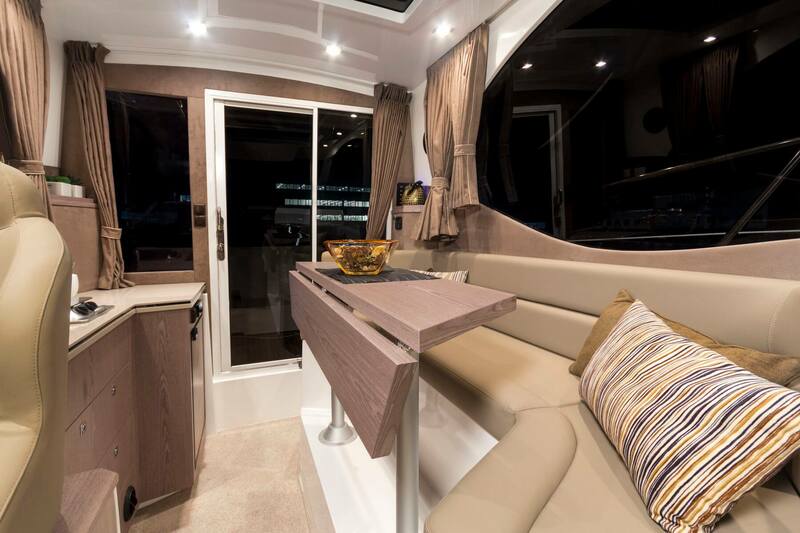 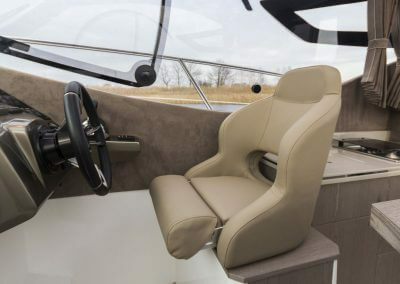 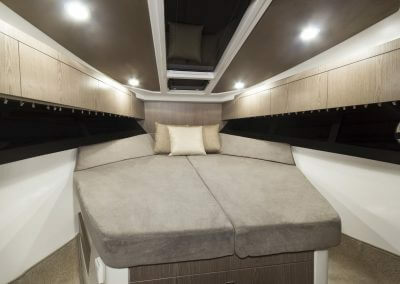 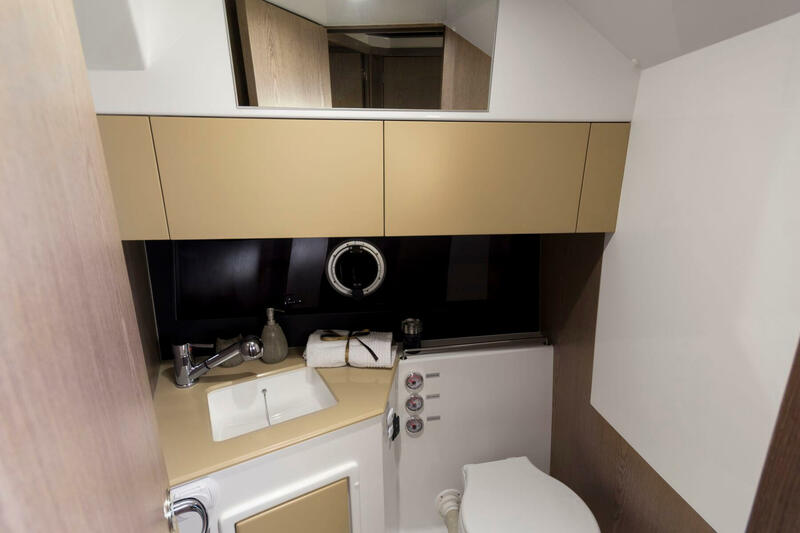 The passengers will surely make use of conveniently planned cockpit which is available with both a fixed bench and a fold-out seating – perfect for sunbathing. 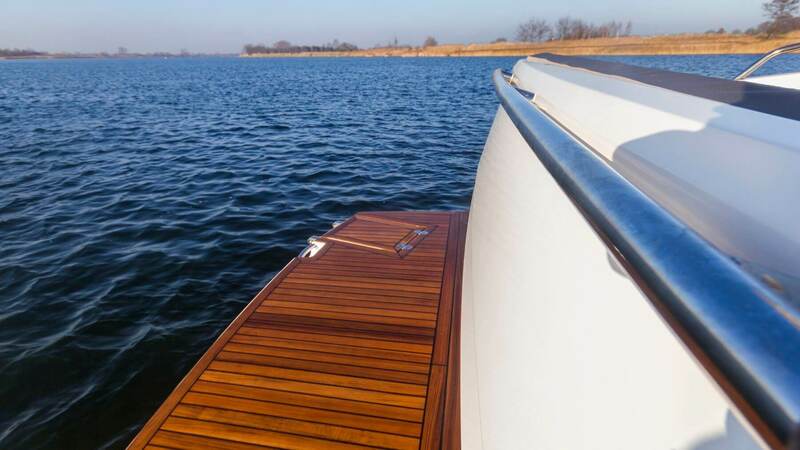 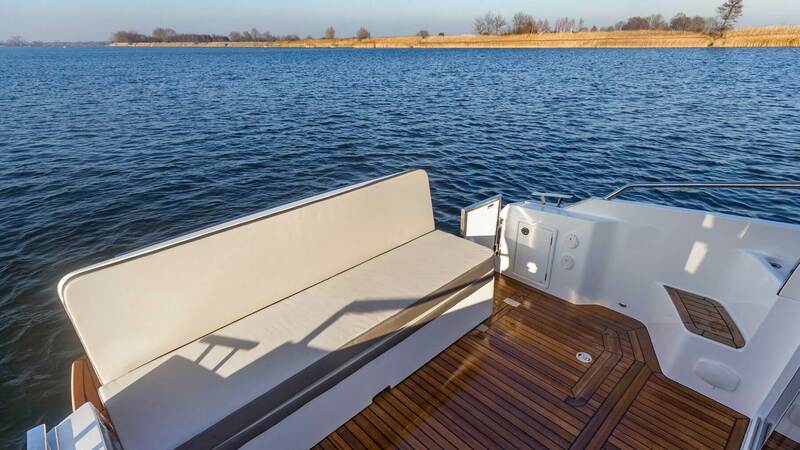 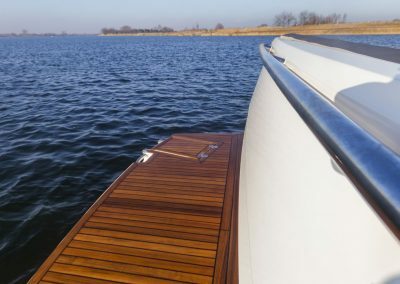 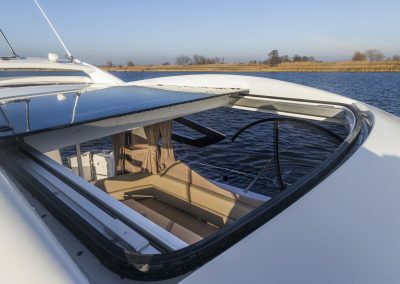 Additional sundecks await in the bow area.